For the last two days I’ve been absolutely loving a new game which was released, “Ripple Dot Zero”, a 16-bit styled game which is very like some console and computer games of the early 1990s. The game was created by PixelTruss software (http://www.pixeltruss.com), and I think they may have been a fan of the same Megadrive games that I was! It’s a tribute to the likes of Strider and Sonic the Hedgehog in a very similar way to Street Fighter 4 being a tribute to Street Fighter 2 in that it absolutely nails what was awesome about the original games, and reproduces it perfectly and yet in a way that feels like something new. In fact I think that’s the most amazing part of it, it feels both completely familiar and completely new at the same time. The best part is that despite working on the game for 4 years, they are allowing people to play the game absolutely for free! 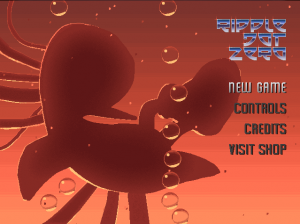 You can play Ripple Dot Zero by simply going to their website, www.rippledotzero.com. I can only hope that this leads on to some kind of deal on other platforms: it would be amazing to get this game (and dare I hope, some sequels?) onto XBLA, PSN and Steam! 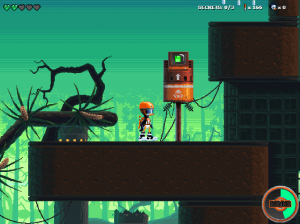 Also, you absolutely have to play the game with sound because the soundtrack is phenomenal. Recently I watched the Assassins Creed 4 trailer, which was stunning, although clearly not in-game, but one day the technology will be there to render this in real time. But what I realise, more than ever, is that we need to find a way to get narrower camera angles into game-play. The fundamental problem is that narrow camera angles (e.g. 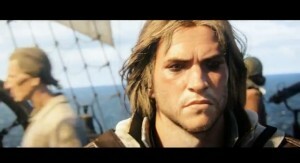 close-up on characters) are awful for actually playing a game, but look really cool. This is a particular sub-case of the more general problem that the cooler a camera angle is, the less well it plays. But I reckon that if there was a way this could be achieved in gameplay, games could get increasingly more cinematic and interesting to watch. Generally for playing a game you want a FOV of 50 degrees or higher, but close-ups of 10 degrees or less look incredibly cool. I’m really curious to hear peoples ideas on how this can be achieved, or indeed how this has been achieved (I haven’t played a huge amount of games recently!). One idea would be to have a 24-style split screen where one pane shows in-game while the other(s) show close-ups of heroes or villains reacting. Another would be to have an over the shoulder view, perhaps of an enemy looking at the player. This would leave a usable area of game world to navigate. Well as usual my blogging has been very sporadic recently! Juice Games, aka THQ Digital Warrington, were closed down by THQ while Kill Team was in XBox submission. Fortunately TT Fusion were looking for more programmers around the same time and I managed to get a job there… I have been working there about 5 weeks now and have been loving it! The team is absolutely fantastic! In other news Lucid Games seems to be doing well, and HogRocket are about to release their first game… Hopefully I’ll find time to write a bigger blog post soon!